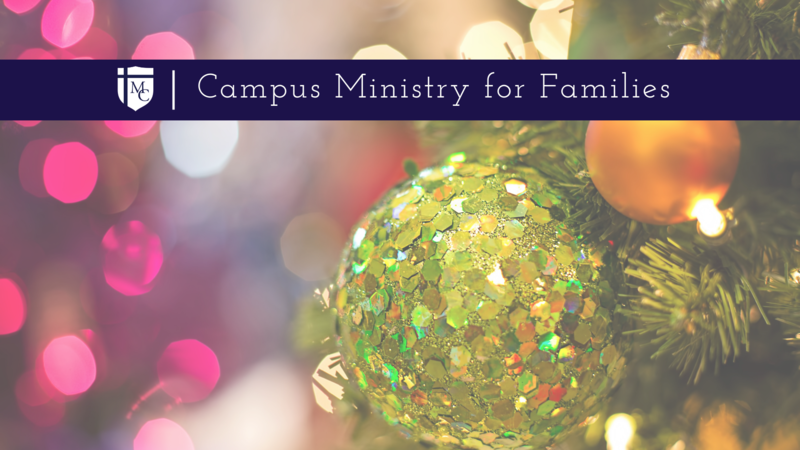 Our Campus Ministry Office has been working hard to put together a number of programs as we head into the Advent and Christmas season to help us grow in our faith and prepare ourselves for the coming of Jesus. Please mark your calendars for these events. We invite all recent alumni, especially our graduates from last year, to come and be part of our 11:00 AM Reflection. Join us for this Advent celebration beginning at 7:00 PM at St. Clement Parish. Junior families are invited from 8:00 - 9:15 AM for a Junior Family Reception Breakfast and Speaker. Junior families are welcome to attend the Mass at 9:30 AM for the Junior Recognition Ceremony where our students will receive their Class Rings and Class Pins. All students will have an opportunity to spend time with the Blessed Sacrament in the MC Chapel, and families are invited to visit during the day. More details will follow. Join us Mondays at St. Clement Parish during Advent for a Bible Study with Max Lucado's Because of Bethlehem. Join with Max in this lively, heartwarming celebration of all things Christmas. Because of Bethlehem, features stories both insightful and whimsical. On every page, Max's words will encourage, captivate and inspire you but, most importantly, they'll point you towards the One worth celebrating. Have the "Best Advent Ever"
One last option for our families is the program, “Best Advent Ever,” from Dynamic Catholic. By visiting the link: https://dynamiccatholic.com/best-advent-ever/, you will receive daily emails and resources to help you prayerfully ready yourself during Advent. A terrific, free resource. My God Bless you and your family during the upcoming Advent Season.